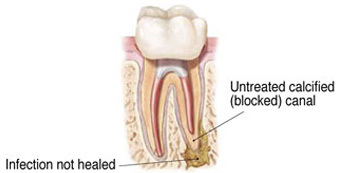 Root canal therapy becomes necessary when the dental pulp becomes inflamed or infected. 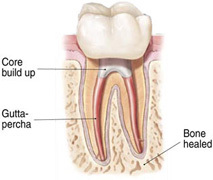 Inflammation can occur as a consequence of tooth decay or trauma from dental procedures, parafunctional habits or accidents. 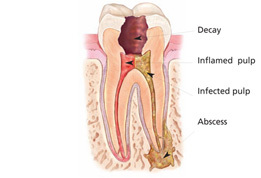 Infection of the dental pulp represents a natural progression of untreated inflammation. 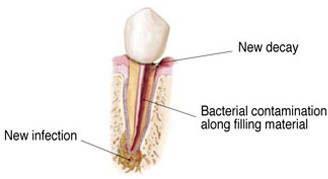 This means that the amount of bacteria that may be harbored within the tooth increases, causing pain or even an abscess. 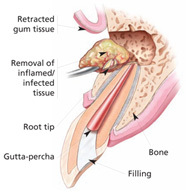 Achieve drainage/evacuation of toxins for patient comfort in cases of severe abscess.